Stricker headlines the field this week at the 2012 John Deere Classic, looking for his fourth-straight victory at the tournament. It’s pretty obvious who oddsmakers have named the favorite this week, but let’s take a look at how the odds stack up anyway. John Deere Classic Betting Lines available at Bovada Sportsbook have set Stricker as the assertive favorite in the field going into the week, set at 7/1 to win for a fourth time in a row at TPC Deere Run. It would also be a nice victory for whoever wins, giving them some confidence heading into the 2012 British Open Championship beginning next week. It’s always good to win in the weeks leading up to a Major. Behind Stricker, the odds jump up to 12/1, as Zach Johnson fills that role as the tournament favorite outside of the three-time defending champion. But the odds really jump up after that, all the way to 20/1 and even 25/1 after that. Aside from Stricker, the field appears to be very wide open just looking at the odds. That bodes well for a nice pre tournament payout to the bettor who gets the wager right. Even if it is Stricker, a $10 wager would profit $70, and a $20 wager would profit $140. There is some good money to be made on the top-10 favorites this week, all the way up to a 40/1 payout on the betting line. That is typically something that you do not see in a top-10 favorite, but obviously oddsmakers forming lines for the John Deere don’t really know what to make of the rest of the field outside of Stricker. 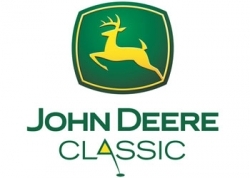 Coverage of the 2012 John Deere Classic gets going on Thursday afternoon at 3pm ET on the Golf Channel. Below, the full field John Deere Classic Odds are available at seen on Bovada, so be sure to check them out and see how your favorite players factor in.